Waterproofs and ponchos might keep you dry when you’re out for a walk, but they don’t really cut it when you’re on a bike. Your arms and legs are left exposed and it can make for a cold, wet and miserable ride. 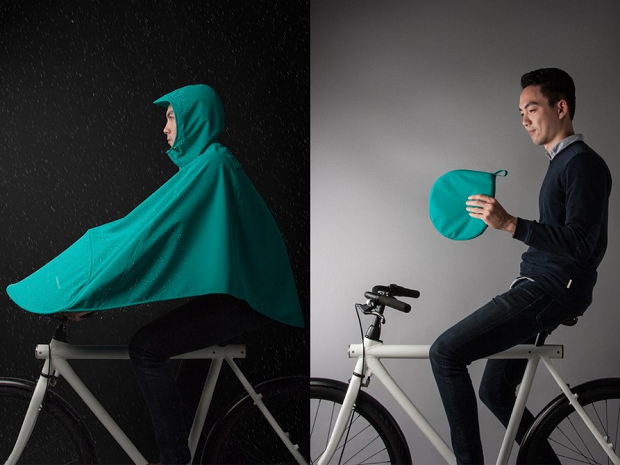 However, the new waterproof bike poncho design called “Boncho” acts like a pop-up tent to keep cyclists dry. The Boncho, an amalgamation of the words “bike” and “poncho,” was designed by Dutch cycling firm Vanmoof, a couple of whose GPS-enabled e-bikes Gizmag has covered previously. 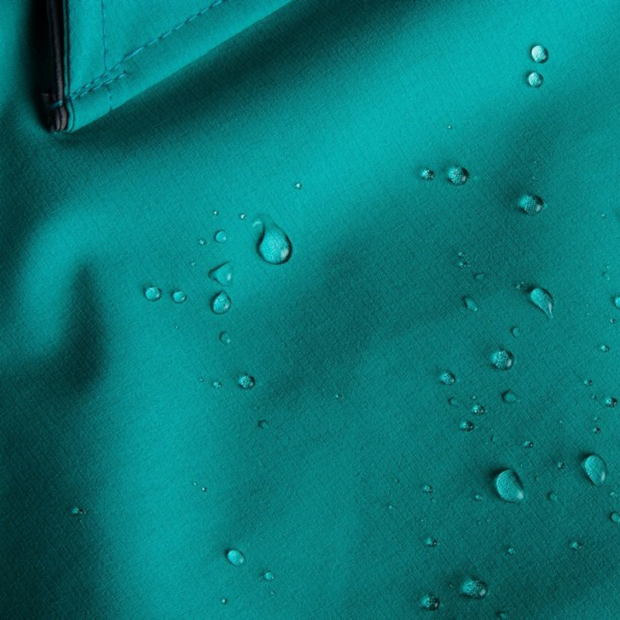 We’ve seen other contraptions aimed at keeping cyclists dry in the rain – like the Veltop, the Dryve and the LeafxPro – but none of them are as simple an idea as the Boncho. 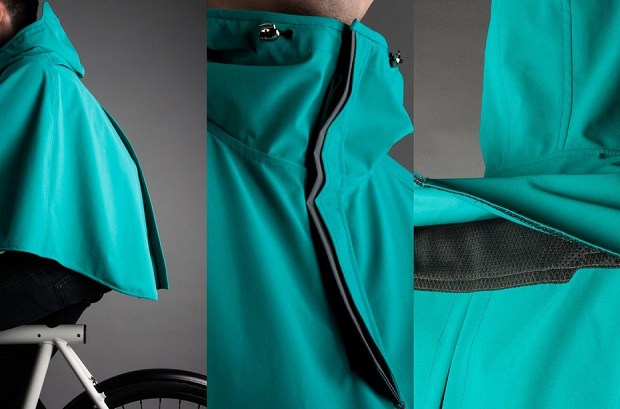 Although it is very similar to a conventional rain poncho for cycling, the Boncho has an additional semi-rigid section that extends over the handlebars, protecting the wearer’s legs from the rain and keeping them dry. Two fabric strips on the underside of the extended section allow the user to hold it in place while still gripping the handlebars. 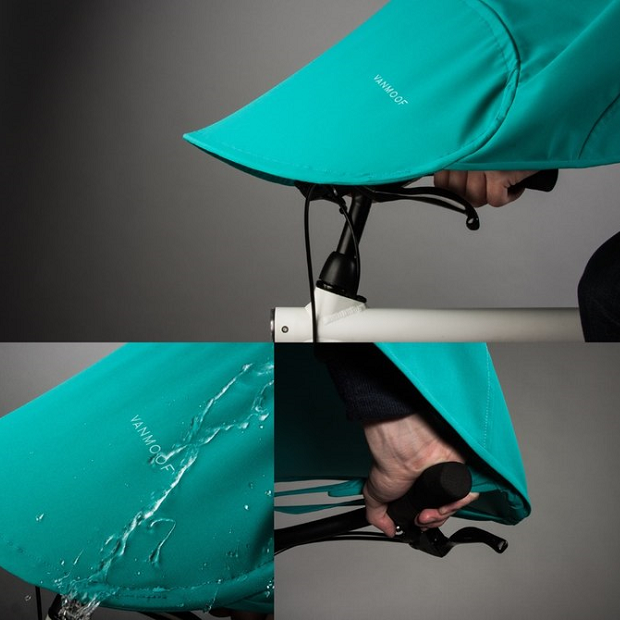 In order to ensure the Boncho is of use even when users get caught in the rain unexpectedly, Vanmoof has designed it to pack away into its own compact carry pouch. 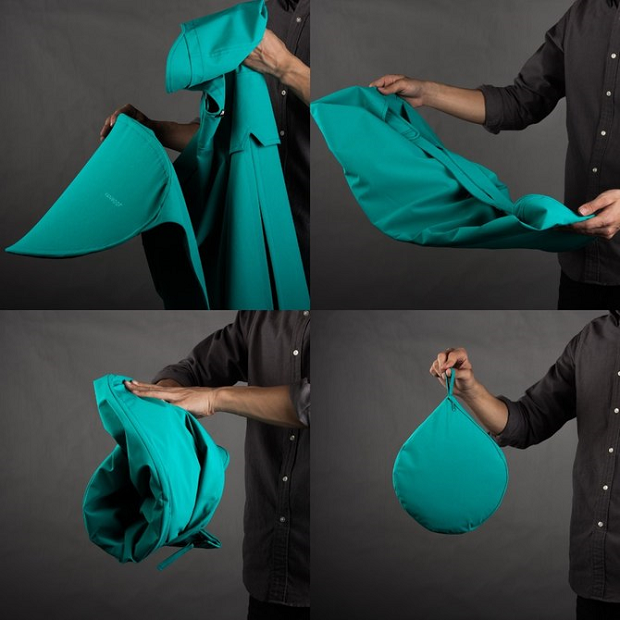 This means it can be stored comfortably inside most bags for use when it is needed all of a sudden. It is made to be fully waterproof, lightweight, breathable and durable. Vanmoof also says it can be used with bike helmets, with small helmets able to be worn underneath the hood and larger helmets able to be worn on top of the hood. A Kickstarter crowdfunding campaign for the Boncho is ongoing. At the time of writing, individuals who pledge from €55 (US$60) can receive a Boncho, assuming all go to plan with the roll-out. It’s available in mint or grey colors and in small, medium or large sizes. The video here provides an introduction to the Boncho. 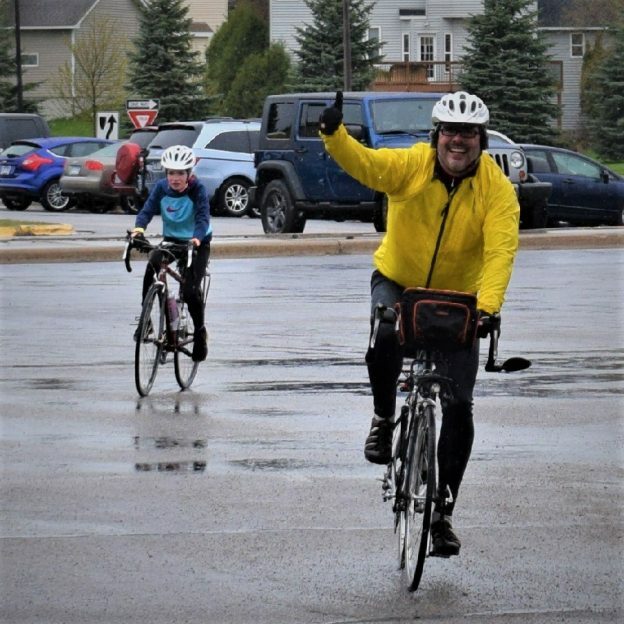 This entry was posted in News and tagged Bicycle rain gear, bike poncho, biking in the rain, protective rain cloths on December 28, 2015 by Russ Lowthian.